This 88-page primer unveils the key features of Microsoft's eagerly anticipated Windows 8 operating system. 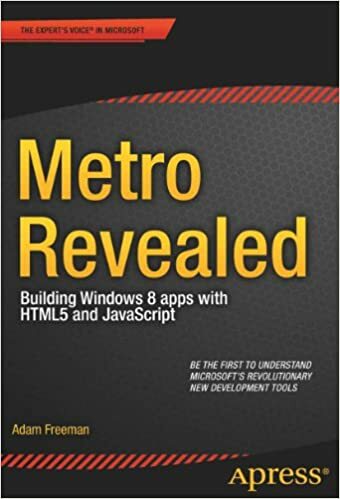 Windows 8 contains the revolutionary Metro application framework for building dynamic and responsive touch-enabled applications that target both desktops and mobile devices. This book is for early-adopters of the Windows 8 operating system working with the Consumer Preview in order to be ahead of the curve in understand the new ways of working that the operating system introduces. These chapters are supported by a substantial stand alone code sample.